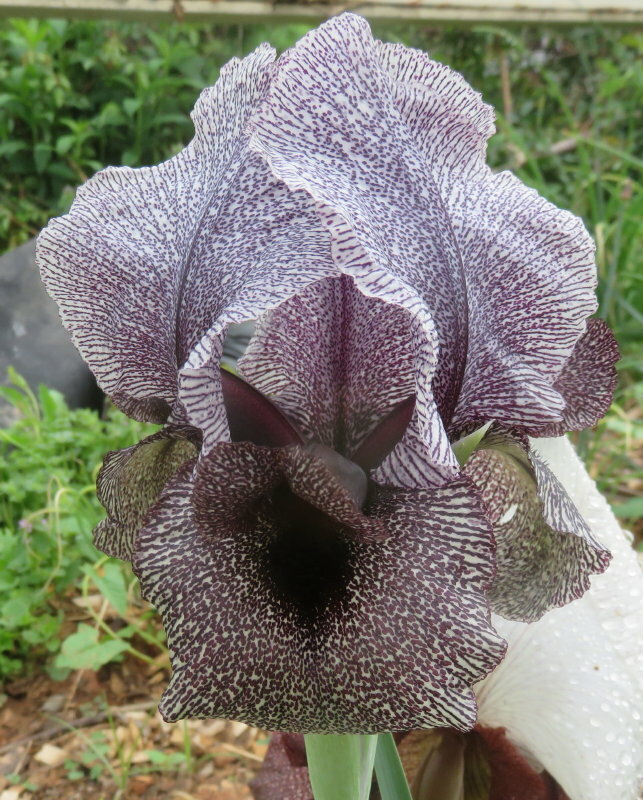 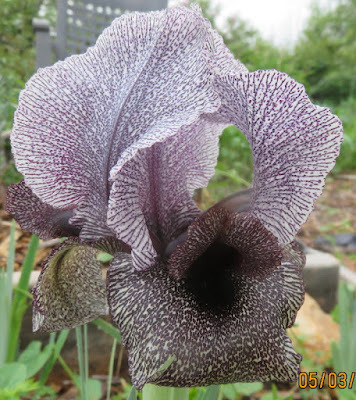 Now, forty-five years after Iris susiana bloomed in the garden, one of its close relatives (perhaps one of its parents) bloomed up at my community garden plots. 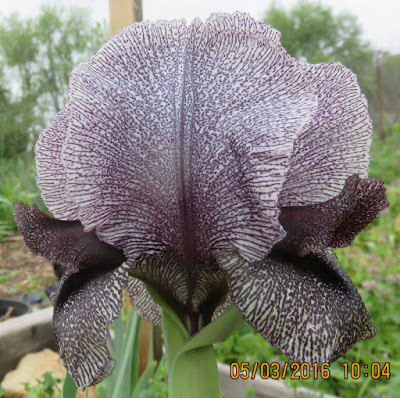 Ever since I learned about it years ago, I've been on the hunt for a reasonably priced rhizome of this one, Iris kirkwoodiae. It's very similar to Iris susiana; in fact, that long endured longing for the mourning iris is now largely assuaged.